Selling prints can feel like a daunting task. Just the act of simply trying to figure out how to get your pieces printed can seem insurmountable. You may not want to print them yourself. In that case you may want to consider a Print on Demand (POD) service. There is a LOT of misinformation about POD. Over the last two months, I have interviewed the CEOs and founders of several POD companies. In our conversations, some of them chose to sling mud at their competitors and shared information with me that was directly contradictory to what I could find in other sources. Some of the companies refused to respond at all. I also took the time to interview a handful of artists who have had significant success with POD. A small number of them were incredibly generous with their time and I’ll be quoting them extensively throughout this post and future posts on POD services. All of the information in this post is true to best of my knowledge, and I will be updating to reflect any changes or inaccuracies. There are a surprisingly large number of companies in the POD game. From tiny startups with just a few team members to huge companies with thousands of employees, POD is officially big business. For the purpose of this blog post, I’ll only include POD companies that make art prints. Some of them also offer t-shirts, mugs, posters, and other formats, but they all offer giclee or high quality fine art prints. There are a few reasons that so many companies are getting into POD. It’s relatively easy. Some of these companies make a claim to having higher quality prints. The reality is that Fine Art America, Society6, Shutterfly, and other companies use the same printing and fulfillment centers. These POD company’s only startup costs are getting a website built and finding enough artists to attract buyers. The profit margins are high. Prints can be a very profitable business. For some of the more successful artists I spoke to, prints were more than 80% of their income. Artists can mark up prints quite high from the cost of production, so having lots of popular artists on the site means more profitability for the POD company. There’s a LOT of things to consider when it comes to picking the right POD company. After talking to dozens of artists, here are the criteria that we came up with, in general order of importance. What does the artist get paid? I was amazed at how much this varied from site to site. On some sites, the artist gets only 5% of the sale amount. On other sites, it’s as high as 70%. Be sure to read the fine print. The way that artists get paid varies considerably as well. Consider that on some sites, all prices are pre-set and the artist gets a tiny percentage of the sale. On other sites, the artist sets the price and the POD company adds their margin to arrive at the final retail price. Quality of the printed product As mentioned above, many of the POD companies use the same fulfillment houses, so quality varies little. If you sell something on FAA, it’s printed by the same company that prints for Society6, Shutterfly, and others. Mark Tisdale is fan of Imagekind for quality, but most artists recommend ordering one of your own products to see how the quality comes out. Each artist cares about slightly different details and it’s impossible to say which service is definitively better. curation of content – some sites have employees who comb through their artists to find art that they think is likely to sell. Some sites have instituted algorithms that automatically promote artists who are selling regularly to the front page, the logic being that if an artist sells well on their own, they’ll sell really well if they’re highlighted on the front page. internal search – the importance of the quality of a site’s search function really can’t be understated. If your work can’t be found, then you won’t make any sales. Search functionality should give you the ability to filter by style of art, color, artist names, location, and other factors. paid promotion – this usually takes the form of paying to be on the home page of the site or to be in a newsletter. Not all POD sites do this. Design. It’s more than just looking pretty. Good design includes ease of setup, mobile responsiveness, ease of purchase, discoverability of work, performance of the site, and other elements. A well designed site matters a lot. Control. How much can you customize the look of your store? Does it look good with your art? Most of the companies don’t offer much in this area, but a couple of them do interesting things with allowing you to embed your products on your own site, which we will address in a future post. The ability to interact directly with the end customer. Many POD sites don’t tell you who your buyers are, and this is a huge problem for an artist trying to build a business. Stats & analytics. Sadly, this is an area where nearly all of the POD companies need to make major steps forward. In addition to seeing how many sales you’ve made, it would be really helpful to see how many views each piece has had, where those viewers came from, and a little info about those viewers. Even better would be seeing how much time they spent on each piece of art, and if they looked at any particular formatting options. Culture & community on the site. Pay attention to the target audience of the site. DeviantArt.com has a very different audience from FineArtAmerica.com. Go where your art makes sense. Also, getting deeply involved in the social aspects of some of the POD sites can be hugely helpful to your sales. When you have a solid community, you are more likely to have your art shared and suggested by other members of the community. Juried/Curated? Some artists appreciate being part of an exclusive group, and some collectors want to know that the artists they’re considering buying from have been vetted in some way. That said, the artists I spoke to who have been part of these curated sites have not seen higher revenues than sites that allow everyone to join. One additional note on curation: many of the more popular sites have rules about image quality. The photography or scanning has to be at a certain level before they’ll accept the image. This is different than having a panel of judges who pick artists who match a theme or style that the site wants to highlight. Image protection & Attribution. Quite frequently POD sites feature an artist’s work in their marketing without crediting the artist by name. This may not matter to you, but some artists find it concerning. Some sites prevent people from right-clicking on images to save them to desktop. While many artists find this to be a plus, if also makes sharing your art more difficult. In our next post, The Ultimate Guide to POD Services, we share some stories and case studies from other artists. We’ve interviewed artists who are pulling in five-figure incomes each month from prints. We’ll include the good, the bad, and the ugly. In the mean while, if you are an artist who has benefitted from POD, we’d love to hear from you in the comments, or via email. What works for you? Do you have any great stories to share? Cory, I really appreciate the research you’ve done on this subject. It’s easy to get overwhelmed and confused by all of the options. It takes a lot of time and effort to post even a few pieces of art on these sites, so we certainly want to choose carefully the ones that will get the most results. Thanks for all you do. Thanks JoAnne! More to come. Thrilled to read your take on POD and greatly look forward to reading actual case studies in the next post! Thank you, Cory!! Very good article, thank you! I was doing my own research on POD just the other day and I was interested in a company that I could integrate into my own website, rather than signing up for an account on theirs. So far, I’ve only found Fotomoto. Does anyone know of more? Hey Alex – Fine Art America does embedded shops, but you have to finish the purchase on their site. FAA has ridiculous shipping costs for Europe. Alex – it’s pretty expensive to ship from USA to EU. That said, I do know that some of the POD companies are opening operations in the EU, which will dramatically alter shipping costs. Stay tuned for future announcements on that one. I’ve recently been using Zazzle, which doesn’t seem too bad for postage to the UK. I compared the postage on just a card with the postage deviantart chages. I think it was about £2.77 for Zazzle, something similar for Redbubble, and more than £6.00 from DeviantArt, which I’d regard as prohibitive (actually, it was for a postcard; you can’t buy single greetings cards on DA). Incidentally, Zazzle automatically migrates your store url, and all your products from, for example, .co.uk, to .com, .de, etc, so that users can take advantage of local shipping rates. Hello. Does anyone know good POD sites that ship both from US and Europe? I see some have very high shipping rates from the US to Europe. I’m with you. I just started setting up my own website and I’m looking to integrate the shipping into my own website instead of getting lost in the shuffle on faa. So far I have only found fotomoto. I quickly ruled out faa for their site integration because the iframes they used looked awful. I have not yet finished working out the kinks with fotomoto, but it looks promising. I have never heard of most of the sites on the list above, so I will definitely check them out before finalizing anything. Thanks, Cory! Thanks Dave – while FAA does have a bit of a cluttered interface, most artists have told me that they have great experiences with them with sales, quality of prints, and support. My experience with FAA was alright. The interface with my website wasn’t too bad.The showstopper for me though was not knowing who my collectors were. I am all about building relationships and you obviously can’t do that if you don’t know who’s buying your art. In the research I’ve done more recently, ImageKind now offers purchaser information to you as the artist, as long as you buy any of their paid memberships, which wasn’t too costly. I’m looking forward to your future posts on this topic. Thanks very much for looking into this. Hi Chris, there are some back-end solutions that might work, but they require hiring a developer or having some coding knowledge. Same here. I have the woocommerce integrated into my site and have been getting my shop in place, but the cards/prints/ancillary items are the challenge. I’ve been thinking that they would order from my site and I would then transfer the order to a POD service myself – extra work, but then at least I keep the info etc. NEVER HAVE BEEN ABLE TO TALK TO A LIVE PERSON REGARDING A SELLING ACCOUNT ON FAA. VERY DISAPPOINTING AS WITHOUT A LITTLE BIT OF FACE TO FACE I IWLL NOT JOIN. That’s how the Internet works Anne. You usually don’t talk to people. I use PRINTFUL and although they don’t have many items to use I love the way they do business along with the quality of their products. They are an app on my website. all packing slips they send out have all of my information on them aside from their return address; it is still my business name listed. Their name is nowhere on anything and I love that. I also track all orders through them. I’ve looked at traffic/page ranking via Alexia, but then I realized that a lot, if not most of that traffic is from the artists on those sites posting their images, etc. I would like to know which of the sites has the most traffic from buyers and #of sales. So would I Jody. There’s no way of knowing amount of traffic from collectors, and none of these companies are going to divulge sales data if they don’t have to. That said, Cafepress is a public facing company and you can see their relative numbers. thx for a great article. I use FineArtAmerica, which so far has done very good quality prints and cards for me. what gets me most are 1. no stats, and 2. inability to know who bought my work. that’s just annoying. how can I connect to keep a relationship going if I don’t even know who it is? I don’t see cafepress.com on your list – I’ve used them for years. I’m not thrilled with the quality of a lot of their products (like T-shirts) but so far their prints are OK. I’d use FAA first, if I had to make a choice. I know you’re sticking to prints here, but their boxes, mugs, journals and bags are great. Thanks Angela. Imagekind does all of CafePress’ fine art prints, and they’re on the list. Cory, imagekind.com is owned by cafepress, and while their prints are very good, their customer service to artists has suffered since they were bought out. They are a very small staff and are overworked from my experience. Good people, just not enough of them. I was surprised, by the way, that your article didn’t include the artist profit margins in your article. Which sites offer the artist the most flexibility and profit potential is what I was hoping to discover. Perhaps you are still investigating this part of the POD picture? Hey Rich – yes, I’ve heard from several artists about Imagekind’s customer service, and the terrible margins. Subsequent articles will cover some experiences from various artists, including sales revenue splits, customer service, and more. Stay tuned! I was going to say, yes, ALWAYS get a proof copy to check resolution, color, etc. So far, FAA has been right on. the proof copies I’ve gotten are so close to the originals I almost can’t tell the diff. I don’t see Moo.com. Any reason? Thanks for doing this study. I’m sure it’s a lot of work. Hi Phil – Moo is a business card service. For this list, we focused on companies that offer high-quality prints of fine art that are meant to be decorative, non-functional pieces. Totally a tangent here, but also I used Moo.com for my business cards, which featured a background of a full-color digital art piece, and they got the color spot-on! I compared it to the print job on a quick “giant office supply store” printer, and Moo was vastly superior. Building a mailing list of people who have purchased your art is an important marketing tool. Have you found any POD companies that give you access to your customer’s information and will you be sharing that info in your forthcoming posts? Not to my knowledge Richard. That would be great, wouldn’t it? I am very glad to have gotten the email about this post this morning as I am always interested in learning more about the different POD options out there. Zazzle used to be the best for me (and my favorite) until they re-vamped their website recently – and now my sales have been very slow ever since. I don’t like that they took away the customization of the storefronts (I had spent a lot of time making mine look awesome). But they still have my favorite art-uploading system (you can use layers, move things easily, and even add text that the customers can edit). And I like that you can set your price for everything. I have found their products to be good quality except for anything printed on fabric (with the exception of the Rickshaw bags – which are awesome). Oh, and lastly- they do have some good coupons – especially around xmas time, so you can promote those to your fans. Spoonflower is fun and I get pretty regular sales from them, but you have to buy samples before you can sell anything which is a bit of a pain. Also they only give you 10% for a royalty and you have no choice in the matter. But they do let you send a thank you message to your customer after each sale which would be a good way to tell them about your website/newsletter/etc. Also, Spoonflower has lots of contests which seem to be a good way to get your work seen by customers, and sometimes there are also prizes like getting your designs licensed and manufactured by a major fabric company & cool things like that. Society6 is probably my current favorite POD site. They have good quality products and it doesn’t feel as overwhelming as Zazzle (where they have umpteen-bazillion kinds of products to choose from). However, I don’t like how they don’t email you when you make a sale, and I wish you could adjust the royalties on all of the products & not just the prints. I like that they have lots of coupons (like free shipping) throughout the year which is a good promo tool. And lastly, there is a nice little community of artists (and art lovers) on there so I get some good feedback about my designs from them. Also, in response to the question about pricing – I’m no expert, but I like to vary the amount based on the item’s base price.. for example – low end items would be set at a higher %, middle range items – middle %, and really high priced items would get a slightly lower %. Hope that helps someone out there 🙂 Thanks again for the post & I look forward to your next one. Hi Cory, Very invaluable information. Well researched. Most of what you reveal is, once again, that the artist is building , carrying, yet another persons business.Not the artist’s own. I am in the POD business but it for myself and to my own customers. I get the whole amount of $. Not a slice. I am printing right now for a major 9 day show starting this weekend. AND I will actually hang them next to the original paintings. (they are that good)! It gives my customers something to take away that is excellent, and they can afford. When they cannot afford my originals. I will actually sell a ‘bread and butter amount’ in the next 5 shows. It is like printing money from my own hard work of Fine Art painting. I love this Mary Jane. How difficult was it to learn to print your own pieces? This is an area I’ve only just begun to explore and it seems like the companies I’ve used to print my materials and prints aren’t mentioned because they’re not PODs (Vistaprint, Picture Salon, and Selz), is this correct? It will be very interesting to hear more- I think the information that will be most valuable to me would be how to go about setting up a POD account and market yourself to others both on the site and off. Thanks so much, Cory! This is very important information and I appreciate the research you put into it for all of us! Thanks for this Dawn. Selz is an ecommerce cart. Vistaprint, like Moo.com, is a business card service, not a fine art print service. Picture Salon looks pretty great, but they don’t give you ability to upload a catalogue and show it to customers, as far as I can tell. Hi Cory thanks for the great post. Also Absolute Arts does print on demand too. Thanks Sue. I’ll add them to the list. Excellent article as usual. Question, would it be possible to write a post about photographing or scanning your art before print? Maybe a DIY guide? Thanks. You say: DeviantArt.com has a very different audience from FineArtAmerica.com. How would you define these audiences and how could you tell? Thanks for the kick-start. I’ve been on FAA with few sales, but not much effort on my part, either. Spend some time on both sites Barbara. It’s pretty obvious once you’re there for more than a few minutes. Look at the style of art, who the potential audience is going to be – spend some time on the site forums or message boards and see who is spending a lot of time on the site. This is very interesting. My work is primitive folk or outsider art – but clearly traditional in nature. I’m new to POD, so I had put my art on a few sites (FAA, ArtPal and Deviant). Yes, Deviant is VERY different. However, for whatever reason unknown to me – my work has sold on Deviant. Even more interesting – ArtPal and FAA both canceled orders of my prints stating the resolution was too poor for enlarging (photographed w/14 megapixels and scanned at 600). Yet, Deviant had no problem printing/selling the same print from the same scan/file. I ordered a copy and it was very good. You’re correct about the different audience, but I guess you can never guess what that audience may want. Great Post, thanks for sharing. Interesting. I’m glad you found a platform that works for you! Perfect timing!! Very helpful! You just made an insta fan. Thanks man. Glad to be of help Jamie! I am in the process of deciding which POD to use. I am considering Fine Art America and love hearing the comments so far about them. If anyone could also throw in something about how to come up with the best quality print that is acceptable I would appreciate it. This article could not have come at a better time. I look forward to the continuation …. I’ve been using Society 6 as my POD site for 2 and a half years. The biggest problem is not having access to your buyers information! I do believe Image Kind gives you the buyers email addresses but I choose not to use them because of their overwhelming amount of paper choices. I want my customer to not have to worry about Luster or Fine Art Paper because I thought it would be one more confusing step that would turn buyers away. Society 6’s quality is quite good. Not limited edition print good, but for an open edition I am happy with the results. It’s good to know that they use the same printers as some others. I have decided that I want to switch POD sites though. I want to sell prints exclusively. I don’t want to do t-shirts, pillows, mugs etc and Society 6 keeps adding new ‘things’ they can print on which I feel lessens the integrity of the art print (I may be wrong on this but I don’t think serious art buyers want a painting on a mug). Not too mention that for the last 6 months my sales with them have dropped considerably and they are constantly offering ‘free shipping’, about every two weeks. The free shipping offer happened maybe twice a year in 2012 and 2013. So I’m guessing their traffic has dropped off and they are doing this to try and boost sales. I am thinking of switching to Saatchi because they allow you to sell prints (POD), originals, limited edition prints (you print your self), and sculpture. I paint as well as create sculpture so this is a big plus for me. I haven’t heard anything of their quality or ease of use and would love to hear other artists experiences. I choose to do POD instead of printing my own because of cost. I live in Canada and printing costs here are quite high compared to the US so my prints seemed very expensive compared to other artist (mainly from Etsy) and my profit margin would have been so low it wouldn’t be worth it. Society 6 does have reasonable printing costs and I choose to price myself at the high end of their average offering to set myself apart. I didn’t want offering too cheap of prints to effect the value my originals in the eyes of collectors. Great post Cory, can’t wait for next week to hear other artists experiences! So glad you did this. I haven’t heard of many of these companies. I do use CafePress however and have had great quality with printed images on their tote bags. The profit margin though is pretty depressing for an artist. I think I’ve made 10% from each sale. I will probably be closing up shop on that site very soon. I would love to know other artists experiences with the other sites as far as if they thought the sites did a good job with promotion and what they thought of the profit margins. Such a great post and discussion. I use FAA and Turning Art. Any thoughts on Turning Art? They print poster prints for rent in 16 X 20 format. The artist gets a small percent of the rental fee. They just started adding canvas prints but the fee to the artist is very small so I haven’t used that. But maybe I should? Can’t wait to read the rest of your posts on this subject. Thank you so much for your research and generosity in sharing about POD companies. It can be overwhelming. I started selling on Zazzle but realized I received such small percentages for the time it takes to create products that I decided not to invest too much into it. I’m also on Fine Art America which I am quite happy with. I’ve sold a couple prints. I’m pleased with the prices you can set and money you make off each sell. I just need to integrate it better to my overall marketing strategies, that’s been the difficulty for me. Looking forward to your case studies. Thanks! I have used Fine Art America for just over a year now and have netted $787 in sales commissions on prints. I have also sold $3800 of listed originals there to one collector, who first found me via Pinterest. I like that I can list originals and FAA takes no commission on them because all aspects of sales of originals are between the buyer and the artist. Adding good tags in the description of the art is imperative. I have found FAA to be good with search engines for my art. I’d love to get the word out about how dramatic and affordable the FAA prints on shiny metal are. They are more economical than their gallery wrap prints, clear acrylic panel prints and even prints on paper, after you add in the mat & framing and the shipping is more affordable on metal prints also. FAA does shipping price breaks on multiple pieces. I like setting my mark up amount. I like to sponsor pages to get my art listed on the first page of search terms–no money involved there–just have to post the searchable term link on my blog. Looking forward to reading other artist’s experiences. Thank you! Sandi, I like your FAA page and your art (just followed you and you are not too far from me either). It’s encouraging to see that you are doing well on there. So far I only have my photos on there. I sold one in February and made $80. Although not much, it certainly has encouraged me to keep going, as you have as well. This is a great article Cory! Came at a time when i am seriously refocusing how to operate and build my brand as an artist. I have been juried into member sites like the LagunaART.com and was dishing out mobthly membership fees but selling NOTHING – just more offers for opportunities to spend more money to be in this publication and things like that. Finding a good place to have other options is very helpful for an emerging artists like myself. “spending money to be in this publication” – that sounds about right! I’d like to see a spreadsheet with specific info! Hope you will have one of those comparison charts with all the features across the various companies. “The ability to interact directly with the end customer.” – is the killer app I haven’t seen done too well. POD expect the artist to do all the marketing and then take the customer for themselves. Awesome! I look forward to that. I really appreciate this post, Cory. Prints are an important element of the ‘abundance’ equation, methinks. Thanks so much for this valuable and thoughtfully researched information! It comes at a great time and I will spread the word about TAA to other artists. I had some giclee prints made locally and was very disappointed in the results. So I researched FAA, CafePress and Zazzle. I noticed their low payments (“royalties”) to artists for prints. However POD advantages include a wide selection of papers or canvas, the print in various sizes, gallery wrap or framing, plus they collect payment, ship and handle any returns. And as Sandi mentioned, FAA prints on other substrates, like metal and acrylic. I look forward to your future posts on this topic as I definitely want to use a POD service. Great article Cory. I’m looking forward to all the follow up ones; artists interviews and POD owner interviews. I learned about PODs in 2008 and signed up to FAA in 2009 because I felt they were the right fit for me. So far I’ve been very very happy with them. I tried a few of the others, Zazzle and RedBubble and quickly learned I could not get my retail prices to match across all three. Plus I’m not into selling products, just art prints. One thing I didn’t like about the other PODs was their pay structure to the artists. Another thing was how much time it took to keep up on them. As a professional artist my time is very limited. I have to balance it carefully. What FAA dose for me is to allow me to get my work seen all over the world. This gives me a bigger audience and drives my online presence up. Just a few weeks ago I sold an original painting to a customer in Japan who found my work on FAA. Shipping costs are a huge issue. I live in Maui, shipping paintings around the world is a BIG expense. With my originals I do all my own packaging, insurance and shipping. Having a POD do all the shipping of my print sells and taking care of the packaging, insurance saves me both time and money. FAA is a win win partnership for me. Thanks Cory for this really good information on POD companies. I’m with FFA, Society 6 and I’ve stopped adding art to Artist Rising, Zazzle and Image Kind. It got to be so complex and time consuming I had to limit myself to what I could keep up with and still produce art and teach! I’m sad to report that I’ve had little to no sales with FFA, and only a few with Society 6. For some reason, getting known amongst all the competition is just overwhelming. But here’s a question you could maybe address in the next post: No one has mentioned Amazon’s new art offerings. Wondering if they meet the same criteria of your study, or if they’re a whole different animal? Is Amazon a juried sort of vehicle for brick and mortar galleries already in existence, or POD? Thanks again, Cory. info you put out there. I live in France and am interested in where you live in France. You will enjoy this beautiful country. Thanks for the kind words Shirley. We’re staying in Paris for now – that may change in a few months. Thanks again Cory for all of your hard work on this article. I’ve learned a lot of helpful information. Cory you’ve written a well researched article. Thank you. As a fine art photographer with an MFA in printmaking, the quality of the print is of supreme importance. I printed my own until my large Epson printer needed to again be replaced and the cost seemed overwhelming. Since then I explored the large companies you’ve listed and was not pleased with the printing color quality or fine art papers offered. I ended up going to a small local company comprised of fine art photographers who also offer framing services and have a small gallery. They use the same materials I was using when doing my own printing and are very skillful printers. I’ve been very pleased with their quality and prices, plus I like the idea of supporting local artists who contribute to my community. So I would advise artists to research locally first before going to larger online companies. Thanks again for this information . I look forward to your future posts. Wow. Thanks for all the great info and the interesting comments. I just thought I’d share that I’ve been using Society 6 and have made quite a few sales. My customers seem to like the tote bags and mugs in addition to the art prints, so I like having everything in one place and driving traffic just to them. The quality of all of the products has been great thus far. My biggest complaint is mentioned above, and that’s that we do not get access to the contact information of those who buy our art. This not only puts a big kink in my marketing funnel, it also really hacks me off since I drive most of the traffic to my store there. I even e-mailed them to ask if they would consider changing that, and they said that the purchaser’s info. was private. I will eventually pull all of my work from this site, for that reason, but for now, while I’m researching and creating a process for sourcing my own production, it will have to do. Maybe if enough people ask, they would consider changing that? Looking forward to more on this topic. Thanks for all of your hard work. I will share! Thanks for the interesting article. Are you aware of Artspan.com’s POD service for art prints and giclees? Great article, thank you for sharing this information! Of the PODs mentioned above, which ones share the buyers contact information with the artist? Hi Robin – currently, none that I’m aware of release contact information to the artist. I’ve discussed it several times with various POD companies, and for various reasons, they all say they’re not going to do it. I’ll elaborate more in the next blog post. Pricing – FAA pricing was difficult to figure out. With ImageKind, all I needed to do was an across-the-board percentage. Sizes – FAA provided funky sizes, rather than rounding up or down to nearest standard size. ImageKind took my 1/16ths and various size oddities and rounded up or down to standard sizes, which I liked. Now that I know how to use PhotoShop Elements, I can go back and crop to exact sizes. Quality – Using the same photos, I ordered “top quality paper for oil paintings” from both FAA and ImageKind. FAA mailed the prints rolled up in a tube. The “travel” paper in which the prints were rolled was crumpled on both ends, presenting a poor image to the recipient. The FAA quality was terrible. ImageKind shipped flat and wrapped the prints in tissue paper, a much better presentation. It took longer to receive the ImageKind prints, but the quality was so much better that I canceled my FAA account immediately. I have since ordered a sample paper kit from ImageKind so I can make more informed recommendations. Thanks for doing this comparison and I look forward to part 2. Thanks Joan – this is a great run-down of your experiences! I have had a couple dozen images on FAA for a couple years and haven’t sold anything. But I’m just one of a thousand photographers listed. Should I invest in a paid membership? Does that increase your advisability? How should I market myself to get exposure? Hey Dan – the marketing for POD is the same as marketing the rest of your work. I know you’ve been through the Content Marketing for Artists course, so think about folding your POD work into your overall marketing mix. Cory, I didn’t see 500px.com listed. I finally started using them a few months back. The quality of photographers is intimidating at first and when I came to the conclusion that mine were of good quality then I got the nerve to get started. I am also on FAA and had one sale in February. I haven’t been able to work it enough until now and I see that it’s all about having a plan. I also have photos on Society 6 but having my work stolen has been a concern that I want to avoid. At this time my plan is to use them more for my illustrations and having little things to sell (although I wish I knew a way to do this myself). So I have my photos and digital paintings on 500px (which is less expensive to purchase than FAA and I make 70% and they now have licensing) and I have my photos and intend to have original paintings and prints of them on FAA. At least that’s the plan for now, but I still want a website and my weebly one just didn’t cut it. I have gotten a little more active on about.me for now as they keep changing. I have also decided that I want to offer my prints and canvas prints myself as I can print from CG ProPrints and BayPhoto, so that is my next step. Those I will probably offer on Etsy. Hi Karen – I did not include 500px.com as my understanding is that they don’t just take anyone and they only do limited runs of prints, so they’re not really POD. Is this not correct? Ha, literally stumbled over this article only to see my name with a link to one of my posts on the subject. To be fair on my comment about quality, my experience with Imagekind is well and truly ancient now – from before they were bought out by Cafepress. Definitely anyone wanting to use any POD should try to get some firsthand experience rather than accepting what they’ve read online. I noticed several mentioning the pitfall of not having customer contact information from past customer when using POD. I’m not sure about others, but Zenfolio does let you see where prints were sent, contact info., etc. But that seems to be a rare exception. I can see both sides of that coin. I understand the POD feeling the need to not just willy-nilly hand out contact information, but I’ve also seen quite clearly that customers are not always aware that the artist has no idea who bought their work. All of the PODs I’ve worked with could do a far better job making it clear that the customer should contact the artist directly if they want to know about future work from the same artist, etc. Thanks for the comment Mark, and for sharing your experiences. And the rest all seem to rank the same because I’m Australian. ViewBug for photogs is quite nifty – no sales yet, but only just found the site. One thing to be extremely pedantic about is the presentation of your art/image on the site itself. Can it be downloaded or copied in full resolution? Is it watermarked? Is it downloadable through Chrome tools at high res? Can people use it easily? I was surprised to see that we weren’t mentioned on your list of POD services. We are MILK Books API and we integrate our POD system directly with any website/app that wants to allow their users access to the highest quality printed products. We currently use 3 printers, one in the US, one in UK and one in China and they all print our products using only the very latest HP Indigo digital presses. We are competitively priced. Our wholesale margins are great depending on which product is selected. I don’t understand other POD’s reactions when approached by you. We want to shout our product our to the world. The reason for that is that we know we are the best, heck just go online and see. I searched high and low and couldn’t find one complaint. Ooh, I like the branding on this service/product a lot! Will definitely add it to my comparisons. Hi, I am an artist, well starting out artist. I’m an amateur and I really need to know which is the best site for me to use. One that is a nice, not too harsh community and one where I can actually make some money. I have tried artpal, and sadly it’s not working too well. Only a few people have looked, but none are buying. I would greatly appreciate any sort of help. Thank you. Hi Cory, does your course also accommodate 3d modelers that sell their 3d artwork / digital sculptures for 3d printing? I’m asking this because 3d artists already have 3d printing on demand platforms such as Pinshape and Shapeways. I acknowledge the effectiveness of your course but it seems to work really well for traditional artists such as oil painters, acrylics painters, pencil and paper etc. So now I”m wondering if you already somehow explored the side of 3d-art creation. If you already have a strategy in place for this genre of art, It would be a great move to have a one on one coaching with you. Hi Edgar, our marketing course covers a wide swath of artistic styles. You’d be a great fit! I would stay away from “ArtistRising”. If you have any questions there’s no phone number and they take FOREVER to answer email. In fact, many times there’s NO ANSWER AT ALL. PATHETIC. Make Canvas Prints is a website that does wholesale canvas print orders. And for these orders, there is a big price break for bulk orders. You just have to email the customer service team to tell them the size, quantity of the order, and the shipping address and they will reply to you with a quote. Make Canvas prints has filled large wholesale canvas print orders for hotels, artists, and hospitals. How does all this fit in with limited edition prints? If I have created limited edition prints on my own and I sell pillows, coffee mugs etc, on any of these POD sites am I cheating the customer? I read somewhere since these printed items are in a different format that they felt it would be alright. Also, does the POD features diminish the cost of the original? Limited editions don’t make a lot of sense in the context of POD. If you’re doing a specialty run with a printer, maybe large pieces that are handprinted, then it might make sense. You’re not cheating anyone as long as you’re up front about what they’re getting, and no, POD doesn’t diminish the cost of the original. Thank you for doing a great article with lots of helpful tips on selling online. I joined Zazzle last year and have made a few sales with them. I’m looking forward to trying to sell my wildlife and travel photos as limited edition prints through Saatchi Art and Artfinder. Do you know which pod sites give artists the buyers contact info? I’ve been having a hard time finding this info online. I do more needy art then anything and I think getting to know my customers would be cool but k also would like to receive a lot of the profits, it’s not a major need but it would be nice, is there a site you’d recommend to me? Hi, I would be interested in print-on-demand services that are not like the above model, based on their community and platform (I don’t know what this model is called, but referring to that list of POD Companies above), but more like when I as the artist take an order on my portfolio website, I pass that order along to POD service, where they print and ship. Do any fit that model? Any suggestions? Thank you. A very helpful exchange of information. Thank you. I wish I had stumbled upon this site a couple of years ago. Where do I find the follow up articles on this topic? I’m wondering why PhotoShelter is not listed. My understanding is that it works about the same way as SmugMug and Zenfolio. The omission of Photoshelter is a miss. We will get them added to the list. Heya! What about finding a print company to print directly my art and sell them on my website? This is what I am looking for…not FAA r others that take a lot of $$% on selling my art. Hi Cristina, try looking at our review of The Printful, or Art Store Fronts. Cory, thank so much for this — it’s a really helpful primer for Artists looking to capture more revenue (without the heavy lifting)! Fwiw, I’d take a look at pictureframes.com. 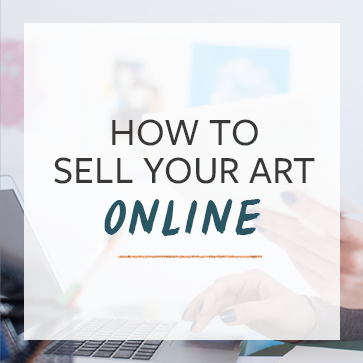 They’re not an art mall, like some of these other resources, but if you’re selling art on your own (via your own domain, Etsy, a gallery showing, etc. ), their print quality is head & shoulders better than any I’ve seen out there. And, they’re artist-founded, so I would expect that whatver they put their name on should be pro-grade. And, they do stand by their work, with a guarantee (it’s even tied to their commitment to ensuring no waste from orders goes into landfill — how cool is that!?! ), so I’ve never had a problem. They even have special services for pros, like unstretched rolled canvases, for folks who like/know how to stretch their own… and they’ll ship orders to your clients without any branding, so it arrives as a finished piece, but you look like the hero (and maybe you’ve even been able to charge a hair more on the finishing, than it cost you — woot!). I have been using a local fulfillment company to print my giclees but am interested in working with some online companies, specifically Saatchi Art, Crated.com. However, when I upload the file, I have to lower the size considerably in order to meet the 25MB upload maximum. My local company will take large sizes all at 300dpi. I am concerned about the quality of the images that I have reduced the size of when ordering giclees that are much larger. Could you address why the minimum sizes are so low (most are 25mb) for high quality printing. It seems like they would want us to upload a higher quality image. Crated.com said that they will request a higher resolution version upon a sale if they deem it necessary. Is there any companies providing this service in Canada? The shipping, import fees and tax plus our dollar makes it not logical to order from USA companies. This is a really helpful article, thank you! I was wondering which company Society 6 use for print & fulfilment? Thanks for your work, Cory. Artist Rising is shutting down on April 27, I got a message from their “team” a few minutes ago – the team is really a woman named Debra. In January I had a negative earnings balance because there were 12 returns (art.com, AllPosters.com and Artist Rising). Their print quality is awful. Doesn’t matter, they aren’t accepting anything new. I think the market for traditional framed art prints is dying. Now I sell mostly wall tapestries, tablecloths, umbrellas, dresses, handbags. Very informative Cory. So many alternatives. I started with fine art america in 2010. In the beginning I only postedmy own work: About 100 pieces. Then I discovered that I could sell images of edited, restored and enhanced antique art no longer under copyright–if ever it was. I now have over 500 images on FAA. I find the more that I add the more sales I make. In the first 6 years with only my own work I made a total of around $40 in sales. The upgraded account with unlimited uploads costs $30 last I checked. Since taking note of what styles and subject matter is selling on FAA in their “recent sales” feed I have increased my sales to date this year to approximately $150. There are a few artists and galleries whose sales appear almost daily in the “recent” sales feed. As the founder of FAA indicated in an interview: There are a small percentage of artists who do very well on FAA and this is directly proportionally to how much promotion and work they put into their business. It appears that the vast majority of artists sell very little. Interestingly if you buy one of your own prints it appears in “recent sales” so one cannot be sure how many of the sales shown there are “in-house” artist purchases for themselves. I’m starting also with zazzle. Too premature to know how that’s going on there. Zazzle has good tutorials on You Tube–I wish FAA did too–I haven’t found any from FAA on YouTube. For many years I sold antiques and vintage on ebay and etsy and I made far, far more sales there than I’ve ever made on POD art sites. As far as financial return on time invested the online antiques and collectibles business wins hands down–a far, far greater return if you know what you’re doing: i.e. ; It’s not unusual to buy an item for $1 and sell it for $20 plus shipping. I majored in art in college and studied at SVA in Manhattan and I have kept an eye on the art business [Sotheby’s, Christies, etc. for over 40 years. A very tiny percentage of the millions of artists in the world will ever earn a good living or become rich via selling their art–especially while living. It’s all about name recognition, networking, and who you know in the art world/ art mafia–[haha]. Nevertheless creating and selling art online is an very enjoyable pastime if you have the time–and all the better if you can make a few bucks. I noted recently that FAA now has an integration with your shopify store–perhaps this would allow artists selling through their shopify store via FAA to learn who their buyers are? What do you think? I have bought several of my prints from FAA and I was not impressed with the quality–sometimes colors were way off. But I have so much time invested in FAA that I’m staying for now. Although it is interesting to see the “recent sales” feed on FAA it can also be discouraging to see the same people/galleries dominating the sales; this includes Conde Nast, the owner of New Yorker and Vogue artwork. This feed leaves room for comments and the sales. In art art school we held critiques on one another’s works which were sometimes harsh and potentially upsetting–but that’s how you grow as an artists. FAA members’ comments on recent sales are always positive which I find regrettable. Are we allowed to say something negative? Recently I saw an impressive portrait of Adolf Hitler in all his regalia sold on FAA. No comments except for mine: “Those who fail to remember the mistakes of the past are condemned to repeat them.” Same for FAA sales of Confederate imagery. FAA people appear afraid–or prudent?–to leave critical comments. I heard of at least one FAA artist who left a very critical comment for a recent sale about copyright and trademark infringements–the artist who was criticized retaliated against the commenting artist via a kind of high tech FAA hacking to injure the commentor’s reputation. We were taught in art school that the worst thing for an artist is a cowardly critique copout with nothing but comments such as “Interesting.” “Nice.”…etc. Of course Manhattan is known for brutal critiques! As a website specialising in canvas Arts it’s very important for us to showcase our artists work. We are new to the business but the artists are at the core of our business and as such we support the growth and development of each of our artists. We offer various selling structures and commission levels based on the artists work and popularity. We are always looking for new or experienced to join us on our quest to make art affordable to everyone. Very interesting article Cory. I started with Redbuble and Society6 in 2014 and from there on opened shops with Zazzle and Cafepress. In April this year all my designs and the two shops I created with Cafepress were removed due to the fact that I was not living in the USA. I was truly shocked. I was also never paid out what they owned me, so from then on I have joined several other POD companies like Life heroes, Rageon and Artsadd, and since last year I’ve been designing for Merch on Amazon. It’s the marketing that can take just as much time as designing, but I love the creative opportunities to be able to earn a passive income from my home in Cape Town – South Africa. Just, whatever you do, STAY AWAY from Cafe Press. That site belongs in a museum of terrible design. The single most hair-pulling, byzantine, opaque user interface I have ever had the misfortune of negotiating. Space Jam is a better website. There are punch-card computers that were easier to work with. A couple of things ive picked up, Big Cartel have a integration with 2 Pod companys which is very practical, you can make your own website with them & sell your work, then link to the pod companys to offer prints & other merch… im in the process of setting these avenues up, finding most difficult is the prep involved in getting files ready to be printed (sizing, cleaning up, format & filing system) but i think this is a really nice option. Im not 100% sure but the sales are made through the website & it could be that customer connection can be more direct. Mailchimp is also integrated & theres the whole stats thing with views & time spent ect. Fine art america where starting something some time ago with an option to opt into Digital artwork, where people with a wall hang digital device can rent your artwork for very little per time (hr,day,week not sure) you earn from every person using your artwork at any given moment, which could be also quite a lucrative venture! Thank you Cory for re posting/updating this post 🙂 full of very helpfull info. I am interested in opinions on the best easiest way to market when you use multiple POD sites.. I use FAA for my photography, Etsy for handcrafted items (not POD, but still need to market it), I sell fabric designs on Spoonflower, and have a Redbubble site as well. They have some overlapping products, but I don’t necessarily sell the same design on each. I have a domain name for each which is just a redirect to it’s specific site, but should I have one main ‘site’ that I can list all those options on? Or should I keep it simple and just do one FB page and link to items in their separate stores? I have the FAA shop integrated into a FB page now which is nice, but I don’t think I can add others (assuming they had that option). Great article Cory. Thanks. It seems you have to keep up with the changing sites and try as many things as possible. How does Art of Where compare to Printful and/or Short Run Posters. I want to print very high quality fine art photography posters but at a good price and linked to my etsy shop. I used Printful and was happy with the quality but wondering if people know if Short Run Posters are good as they are very cheap and also how good Art of Where are? Any tips welcome.